Epic Games’ Fortnite was not always the colourful, childhood-inspired fort builder that it is now. The original concept was for a horror game. 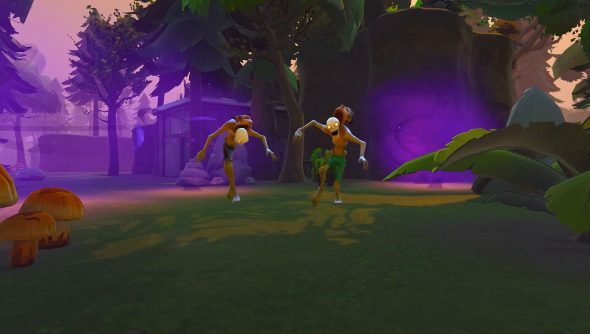 A “terrifying, over the top, scary experience,” is how Pete Ellis, Fortnite’s art director, describes it. But that ended up conflicting with the evolution of the gameplay, which had become lighthearted and fantastical. The art was overhauled to reflect the gameplay, but some of the original horror concepts persist. Case in point: the Husks. These horrible zombies started off as properly grotesque, with their faces pulled back to reveal their skulls, but have been transformed into creatures that resemble Pop Cap’s zombies, though the broadly, the original design can still be seen. Ellis chats about the shift in art direction and birth of the Husks below. Fortnite’s alpha started last week, and will continue until December 19th. Epic’s going to be expanding the alpha soon, so if you fancy taking the game for a spin, you can sign up here.